Centerless grinding. 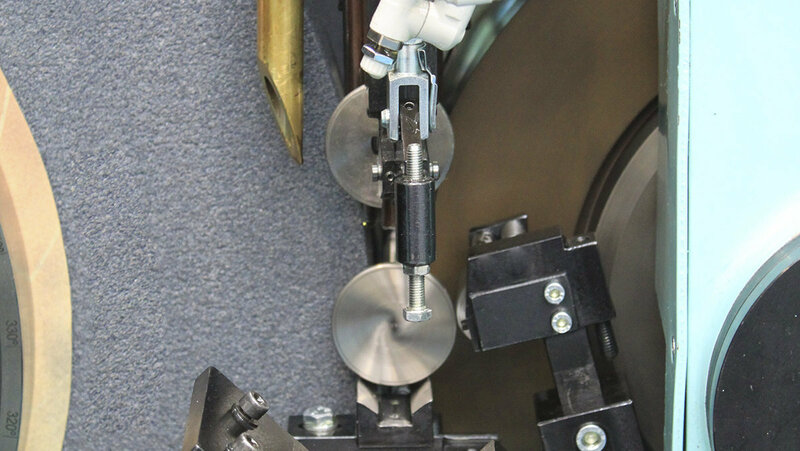 Cycle time of 1.5 seconds for grinding automotive valves. 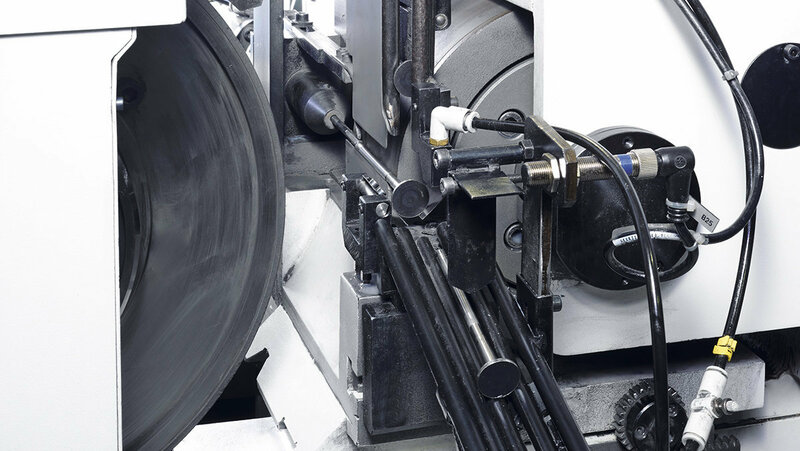 Option of grinding with CBN grinding wheel thus obtaining very short cycle times. Multiple grinding operations in one (low-neck and point with slot and chamfer). Diamond-dressing with dresser wheel to reduce downtimes to a maximum. Integrated and customised load/unload system with a load/unload time of 1.5 seconds. Machines designed to ensure high productivity (high abrasive capacity of grinding wheel, etc. ).